May 30. 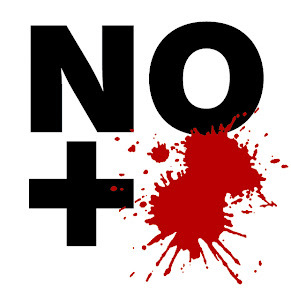 Ricardo Solano Díaz, 34, the custodian of the second unit of the “Federal de Reinserción Social de Puente Grande” prison just outside of Guadalajara, was murdered on Wednesday, May 30, in El Salto, only 200 metres from an entrance to the facility. Mr. Solano Díaz was inside a cybercafe that also doubled as a stationary store located in the Arroyo Hondo and Agua Blanca neighbourhood when four armed men entered the business and shot him in the back. They fled in a black compact car with Mexico City (Distrito Federal) license plates, which was later found about one kilometre from the attack. After the attack, Mr. Solano Díaz’s body was left crumpled over the store counter. He had been shot at least five times. Municipal Police and Red Cross arrived shortly later, but could only confirm his death. 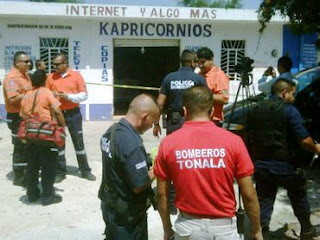 Jalisco’s Institute of Forensic Sciences (IJCF) removed the body and transferred it to the morgue. According to Mexican law an autopsy must be conducted after a suspected murder before a body can be retrieved by relatives.